Just thinking about these sweet and tangy canned peaches makes our mouths water. What a fun way to finish the flavors of summer. 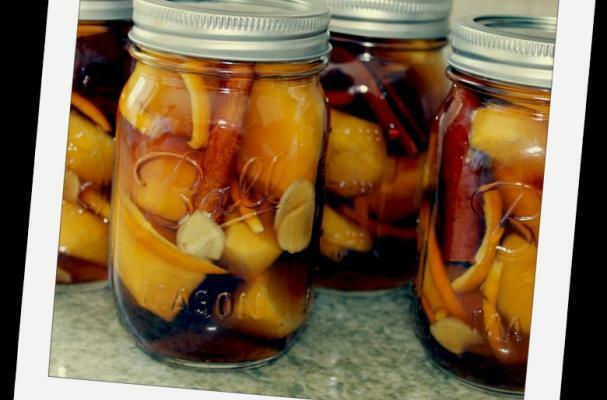 Can you imagine opening a jar of these while the snow flies? Perfect!